The morning after Hurricane Irene. Not nearly as bad as predicted. Stayed in the apartment and watched CNN and Cars. Woke up and made pancakes with some extra special hurricane ingredients. 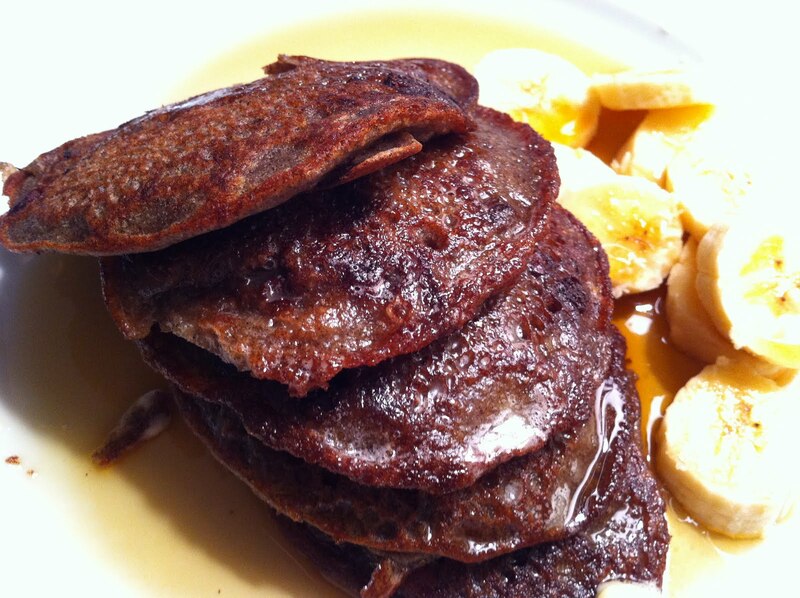 Whenever I make pancakes, I use buckwheat flour, which is gluten free, and a great source of protein, minerals, and fiber. It is hearty and delicious! Mix all ingredients in a bowl and whisk until the batter comes together. Heat up oil in a non-stick skillet. Using a ladel, pour the batter in the pan and when the little bubbles appear on the first side, turn them over. When they are done, plate them up with some sliced bananas, maple syrup, and Earth Balance. Enjoy!